Timberlina (left - Photo: Ren Brocklehurst) and Missy Malone are visiting the isles for the first time. SHETLAND audiences can look forward to a festive surprise later this month, as Mareel hosts an evening of cabaret, comedy and music, writes Alex Garrick-Wright. Make More Noise on Friday 14 December will see visiting and local performers share the Mareel stage for a wild night of Christmas cheer. Local acts such as spree band Kant, the Imposters improv troupe and stand-up Marjolein Robertson will be joined by acclaimed burlesque dancer Missy Malone, bingo-calling drag queen Timberlina and DJ Some Chick Called Bob. 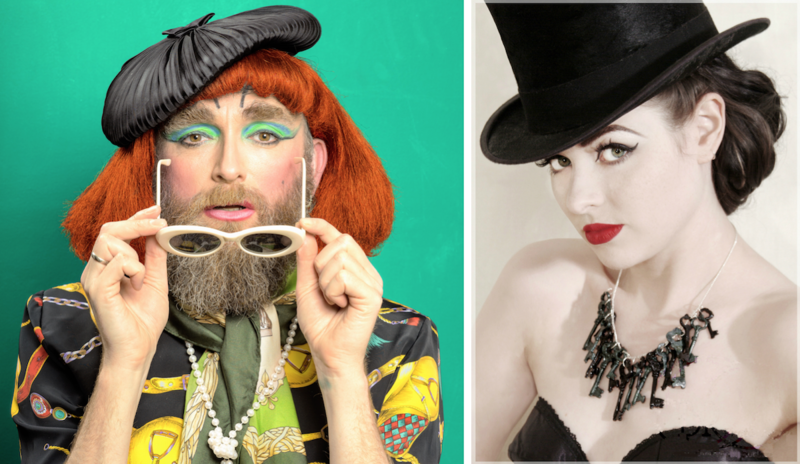 Timberlina, the alter-ego of Tim Redfern, is a well-known (bearded) face on the UK drag circuit. Timberlina has hosted a popular bingo night for the last 10 years at the world-famous Vauxhall Tavern, one of London’s most prestigious cabaret venues and birthplace of acts such as Lily Savage among other luminaries. Timberlina, whose act covers bingo, yoga and songs about impending ecological disaster, said they were “very excited to be coming to Shetland”. Between all the flying feathers, bingo balls and laughter will be music from local seven-piece supergroup Kant. Timberlina added that they were looking forward to getting to explore Shetland for the first time, especially after learning about Up Helly Aa. “Interesting parallel with East Sussex,” Timberlina said, explaining that their local area celebrates Guy Fawkes’ with a series of elaborate bonfire night where boats are paraded through the streets before being burned on pyres by costumed, torch-bearing revellers. Missy Malone is also a first-time visitor to the isles. One of the UK’s leading burlesque performers, she said she was “delighted” to be visiting and exploring Shetland. Her act, which she has performed across the UK and Europe, is a vintage burlesque of swinging tassels, fluttering fans and risque business. Stand-up will come courtesy of Gruting-based comedian Marjolein Robertson. Ever prolific, Marjolein is something of a rising star in the comedy scene; her online comedy videos for the BBC and isles-based stand up at the Edinburgh Fringe have attracted considerable praise. Marjolein said she doesn’t want to give away too much of what she has planned, except to tell the audience to expect a fantastic night. 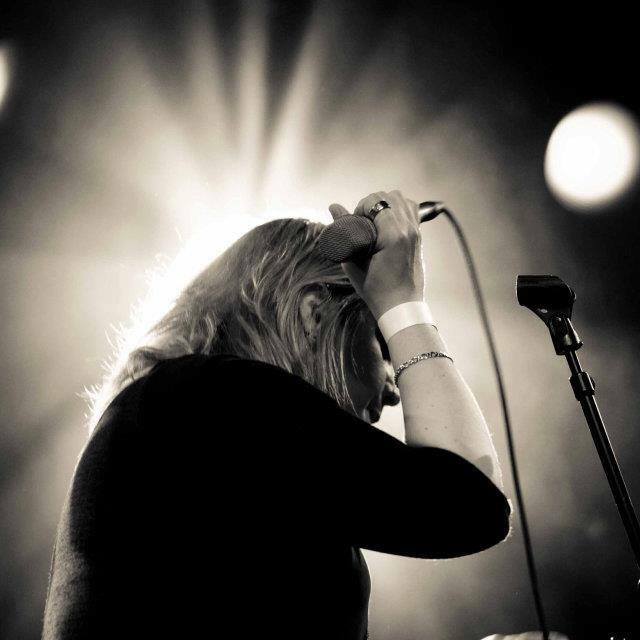 “I’m really excited for this gig as it’s going to have a wild energy compared to many other events I’ve performed at,” she said.“I’m looking forward to bringing some brand new material, getting some Shetland and festive specific jokes as well as something special, something I haven’t done before. As well as her stand-up set, Marjolein will be performing as a member of the Imposters improv troupe. The Imposters have built a solid following in Shetland over the last two years, with a series of popular comedy shows, most notably their sell-out improv panto earlier this year. Bristol-based DJ Some Chick Called Bob will be closing out the night with a selection of nostalgic tunes and guilty pleasures. The group performs improvised comedy (or ‘improv’), where there are no scripts, and sketches are made up on-the-fly, based on ideas from the audience – a style made famous in the UK by hit TV programme Whose Line Is It Anyway? Imposters member Matthew Simpson explained that the group are looking forward to the show as much as the audience because, given the unplanned nature of improv comedy, they don’t know what’s going to happen either. 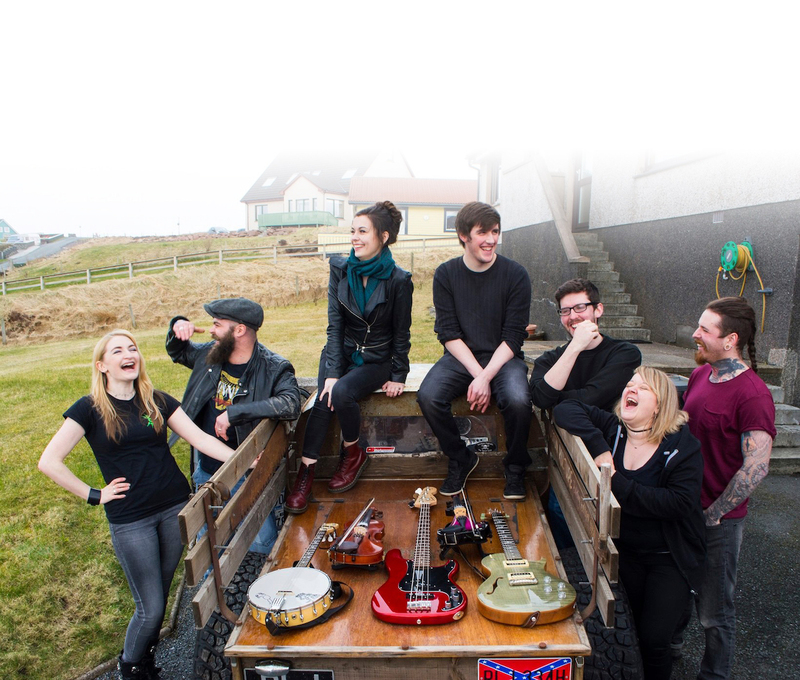 The band’s members are all familiar faces on the Shetland music scene: Lana Elaine, Peter Kay, Lyn Anderson, Terry Irvine, Shona Miller, Douglas Stevenson and Harley Gear. Afterwards, Bristol-based DJ Some Chick Called Bob will be closing out the night with a selection of nostalgic tunes and guilty pleasures. With a heady mix of music, drag, comedy, burlesque (and bingo), Make More Noise looks like something to really shout about. Tickets are available from Shetland Arts.